PLM isn’t like other software. Return on investment (ROI) can’t be calculated from a single number. Product lifecycle management software slips and slides into the crevices of your business. Each of which contributes to the ROI of PLM. And yet, the ROI of PLM is so often held to a single metric: time to market. Today, we’re taking a look at a better way to measure the ROI of PLM, so you can get to the bottom of what it’s worth to your organization. The normal way of calculating the ROI of PLM is that it’s incomplete. Normally, PLM ROI is calculated on time to market. If you get to market, say two months faster, then you have two months of additional revenue. But it’s not the whole story (we’ll come back to time to market later). When seeking to improve a company’s product development effectiveness, executives commonly consider strategic measures such as time to-market.. However, all too often, measurable impact proves elusive to managers seeking to drive more-pragmatic improvements such as speeding change-order cycle times, reusing a larger percentage of designs, and reducing product defects and rework. Suppliers work and iterate more efficiently. Efficiencies in each of these areas helps fuel getting products to market, for less and thus contribute to the ROI of PLM. Second, PLM also supports a “fail fast” approach to manufacturing. Mistakes can happen early when they’re cheap rather than later when they’re expensive. There’s value there in opportunity cost that’s difficult to quantify. Third, calculating the value of getting to market early isn’t a straightforward calculation. 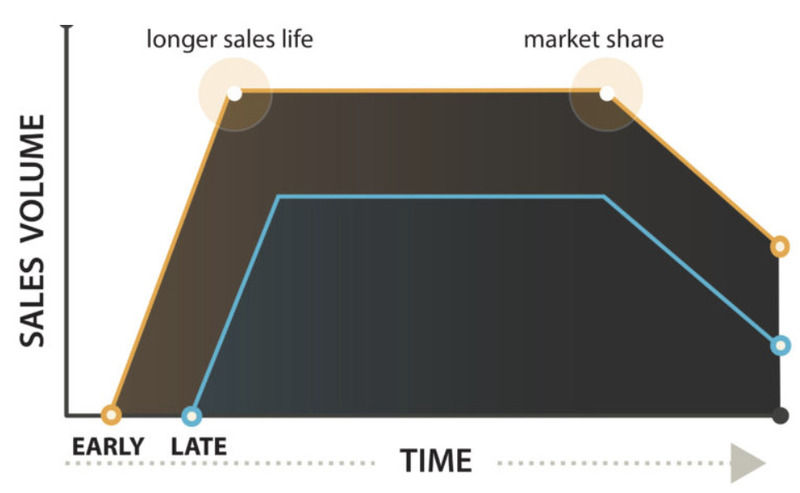 The value of getting to market early plays out over the lifespan of the product, where an early advantage leads to significantly better market share and thus returns. So that’s the first problem with the ROI of PLM: it’s really difficult to calculate total benefits of PLM. The flipside is that understanding the true cost of PLM is equally difficult. Not only do you have the sticker price, but you also have implementation, consultation, customization, and training fees for a project that might unroll over years. Just understanding the total cost of ownership (TCO) of traditional PLM is brain-wrinklingly complicated. Fortunately, there’s a better way to calculate and measure the ROI of PLM. There’s no single answer to the ROI for PLM question. It’s different for every organization. And often, the true value only emerges completely after several production cycles. Which isn’t a lot of use for forecasting and justifying a PLM purchase. So here are the three factors we think that organizations should look at to get a more complete picture of PLM ROI. PLM doesn’t get the credit it deserves when it comes to making teams more efficient. PLM makes engineering work more efficiently by cutting out grunt work and freeing up staff to focus on high-value tasks. Multiply the hours saved by your average engineering hourly wage (say, $125 per/hour). That gives you a dollar figure for engineering efficiency. For instance, say you have 10 engineers. That means you booked 20,800 engineering hours last year. At $125 per hour, that’s $2,600,000. If you save 20% of that after a PLM deployment, that’s an annual saving of $520,000. Part reuse and SKU reduction are a bit like operational efficiency. It’s not a core objective of PLM (usually). Usually, it’s an auxiliary benefit. But it’s one that can be extremely valuable to a business. For instance, the Department of Defense found that every new SKU (e.g. part) introduced in their system cost them $27,500 on average. The Department of Defense found that every new part introduced in their system cost them $27,500 on average. Now we have no allusions. Not everyone is the DoD. But if every part even costs you even 1% of that startlingly large figure, you’re still looking at $275 bucks per part. Designers spend 80% of their time designing or finding parts that already exist — parts that could easily be compiled from existing stock. What this means is that most organizations can potentially save enormous pots of money just by managing their parts, inventory, design work, and ECRs better. Of course, calculating this ahead of time is incredibly difficult. That’s part of the reason we run so many pilot projects — trying out PLM is usually enough to get an idea of what sort of decrease in rework/ECRs/design costs you can expect with a larger rollout. Another company reportedly saved $250 million from efficient part use alone. Calculate how many of parts you’re using that are designed from scratch. Calculate your average per part cost, including design time. For example, say our project has 300 parts, and assume that 80% were designed or redesigned from scratch. Assume that each part costs $4,500 to design and machine, that would be a cost saving of $1,080,000. This isn’t perfect, but it’s a good way to think about the ROI of PLM beyond the obvious functions of organizing product data. Yes, we know we disparaged this earlier as a high-level metric with little (if any) meaningful value. But we’re going to look at it anyway. Just from a slightly different angle. We’re going to look at it as a risk to be mitigated by PLM. That is, what does a missed deadline cost you? What are the consequences of that, and how much would you pay to avoid those missed deadlines, given the broader benefit of getting to market quickly (remember the graph above)? Because missed deadlines are expensive. They can cost a 12% drop in share price on average. Missed deadlines can cause a 12% drop in share price. 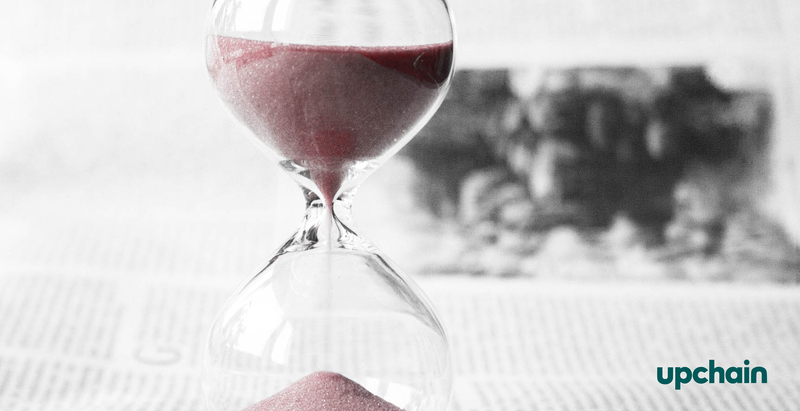 So by speeding time to market by, say, 10%, you might miss 5 fewer deadlines every year. That’s some serious risk mitigation right there. ROI of PLM is a combination of operation efficiency, efficient part reuse, and mitigating the risk of missed deadlines. Operational efficiency is how much time your engineers currently spend doing grunt work that a PLM could free up for high-value tasks. Efficient part use is how you can condense and reuse common parts to deliver cost savings and use design time effectively. Getting to market faster is how much risk you can design out with a PLM system. Combined, these represent the minimum savings of cloud PLM. Minus the cost of the PLM deployment (TCO, that is) and you have your return on investment. Got questions about the ROI of PLM? We’ve got answers. Get in touch and see how PLM might help.